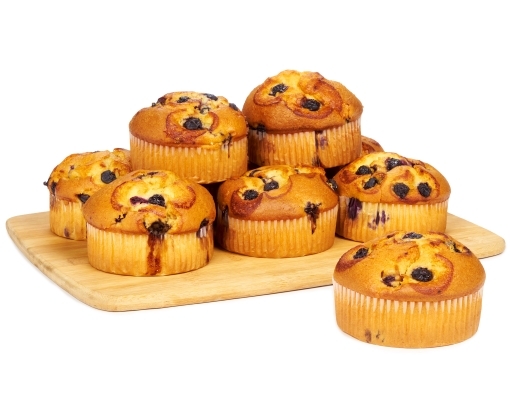 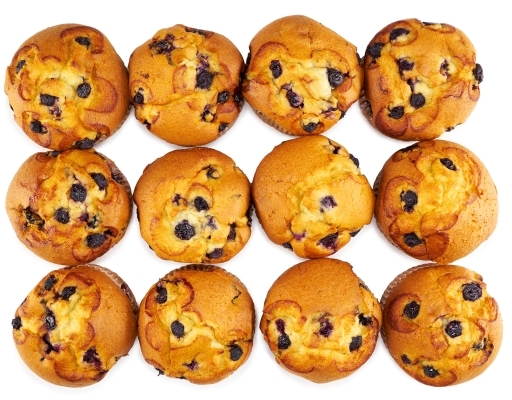 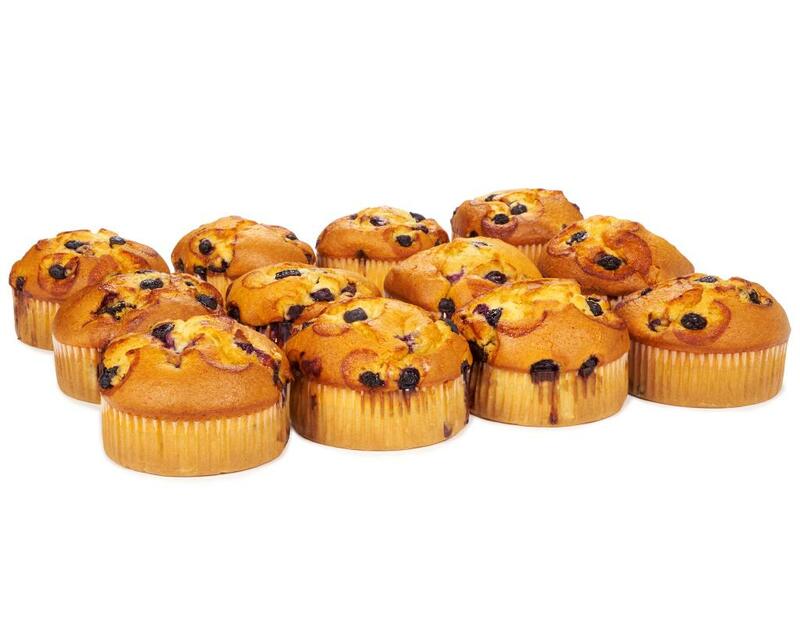 Start your morning with a buttery muffins, studded with sweet blueberries. Beautiful on its own, even better next to a cup of warm milk or hot coffee. 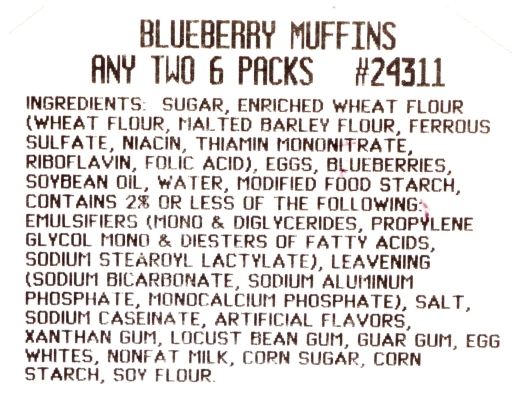 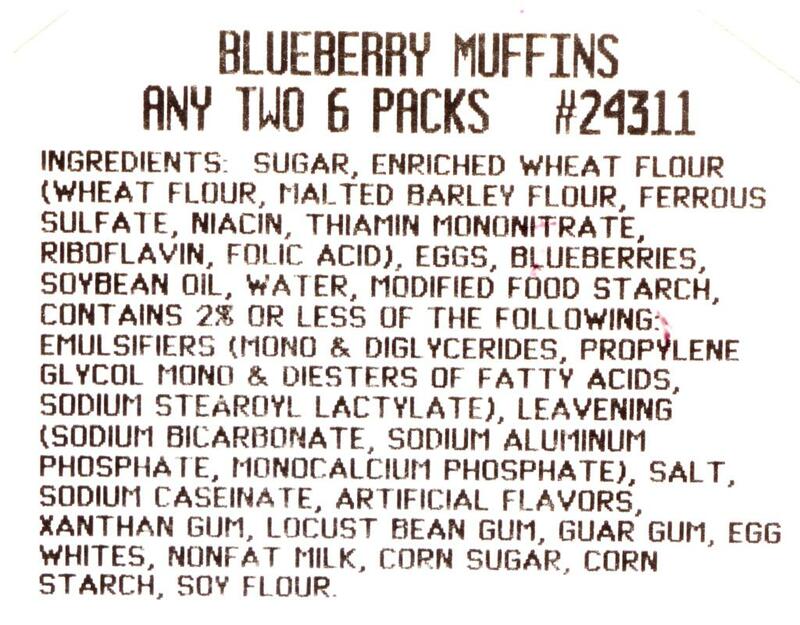 Sugar, Enriched Wheat Flour (Wheat Flour, Malted Barley Flour, Ferrous Sulfate, Niacin, Thiamin Mononitrate, Riboflavin, Folic Acid), Eggs, Blueberries, Soybean Oil, Water, Modified Food Starch, Contains 2% or Less of the Following: Emulsifiers (Mono & Diglycerides, Propylene Glycol Mono & Diesters of Fatty Acids, Sodium Stearoyl Lactylate), Leavening (Sodium Bicarbonate, Sodium Aluminum Phosphate, Monocalcium Phosphate), Salt, Sodium Caseinate, Artificial Flavors, Xanthan Gum, Locust Bean Gum, Guar Gum, Egg Whites, Nonfat Milk, Corn Sugar, Corn Starch Soy Flour.